Enjoy the taste of summer all year round with this wonderfully vibrant dish. Colorful summery veggies are simply sautéed and topped with juicy grilled lemon pepper shrimp. 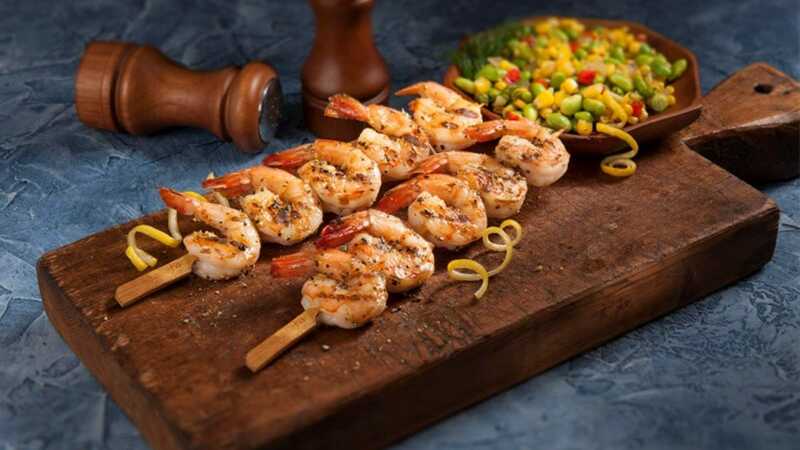 Thread shrimp on soaked wooden skewers. Place shrimp skewers on grill and cook until pink and opaque, about 2-3 minutes on each side. Serve together with succotash. Grill your shrimp over direct, medium heat for about 5-7 minutes, being sure to turn the shrimp halfway through. The outside of your shrimp should turn pink, while the inside should be white and opaque. For juicier shrimp, pat dry first and brush with oil before placing on the grill.